Sometimes, when you are going to apply for a school, college or university, then you will be asked to write an admission essay. 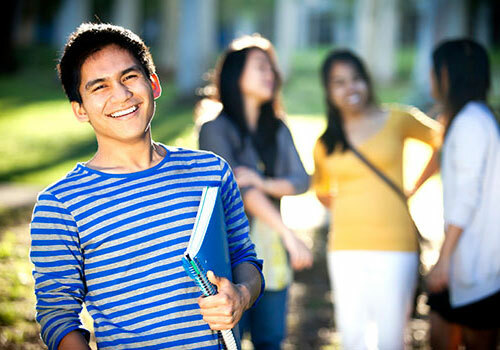 An admission essay is often called an application essay consists of the personal statement of the applicant. With the help of the admission essay, the admissions panel checks that whether a specific student has enough potential to get admission into the college or not. It is necessary for a student to write an impressive essay in the best structure and format according to the requirements of the admissions panel. Here, we will discuss 10 common reasons due to which an admission essay is rejected. 1) Some students select an odd topic for the admission essay and this odd topic become the cause of the rejection of the admission essay. The topic of the admission essay should not be too personal, too revealing of bad judgement, too overconfident, too clichéd, too boring, or too offensive. You should try to select an interesting topic for the admission essay. 2) The basic aim of an essay is to provide all the answers to the questions of the essay. If a student is failing is to provide the answers to the questions of the essay, then his/her admission will also be rejected. 3) The introduction of your essay is the first impression on the mind of the reader. You should try to start your essay with the help of a hook. Most of the students write a boring introduction. This boring introduction can also become the cause of the rejection of the admission essay. 4) A thesis statement of the essay should consist of the two or three points. Most of the students provide a lot of points in the thesis statement and they are not able to explain these points with the help of evidences. This improper thesis statement can also become the cause of the rejection of the admission essay. 5) Another common reason for the rejection of the admission essay is that some students write their admission essays with the help of general information and they don’t provide deeper information about the topic. 6) Some students are not able to manage the time for the essay writing task and they missed the deadline and submit their admission essays after the deadline. This is also a common reason for the rejection of the admission essay. 7) A reasonable admission essay should not contain any spelling, grammar and punctuation mistakes. An admission essay which contains these types of mistakes will also be rejected. 8) As we know that plagiarism is not tolerated at any stage of the academic career. The most common reason for the rejection of the admission essay is that the plagiarism is detected in the admission essay. 9) Most of the students don’t write the admission essay by following the prompt of the essay. 10) The actual look of the admission essay depends upon the structure and format of the essay. If an admission essay is not written in the actual structure and format, then it will also be rejected. These are the some common mistakes that you should avoid in the admission essay. If you are not able to avoid these type of mistakes in your essay, then you can get a custom written admission essay from the essay writing services in order to secure your admission.